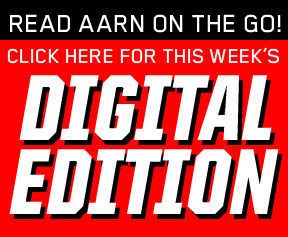 Sprint Car Series got a shot in the arm last week, just days before a new upstart organization was ready to challenge him. Shane Helms, a successful businessman and a car owner for his son Caleb, announced the formation of the Renegade Series less than a month earlier. 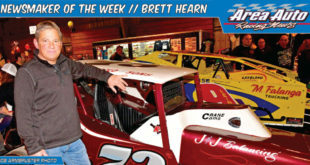 With the support of several disgrunted All Star Series drivers, Helms sanctioned his first race when he announced his support of Saturday’s Freedom 40 planned at Atomic (former K-C) Speedway in Chillicothe, Ohio. Webb’s 30 year old All Star Series was scheduled to run that same day at Mercer (Pa.) Raceway Park, about 250 miles to the east. As part of a two-day event, the University of Northwest Ohio (UNOH) All Stars were also scheduled to have a race on Sunday at Mercer. On Thursday, two days before the two groups would sanction races against each other, a news release was sent out by the Fremont Speedway announcing the overwelming support by 15 track operators to Webb and his All Star series. The tracks that committed in the release made up 75 per cent of the current UNOH All Star race schedule. Despite heavy rain days in advance, the event at Atomic was held on Saturday as scheduled and the Renegade group won the car count battle. A strong field of 37 Sprint Cars were in the pit area, and there were several fan friendly activities as part of the event. The Renegade field was filled with Atomic and other local 410 Sprint racers plus several noted national touring drivers including race winner Randy Hannigan, Chad Kemenah, Danny Smith, Brandon Wimmer and Dean Jacobs. Also in the field were young drivers Cole Duncan, Andrew Palker and Caleb Helms who were all ranked in this year’s top ten in All Star points going into the weekend. At Mercer, the All Stars drew just 21 Sprinters on Saturday but its top five drivers in points, including big winner Dale Blaney, were all in attendance. Back in May, the All Stars made a stop at Mercer and drew 25 cars so it wasn’t a big drop off. On Sunday at Mercer there were 23 Sprinters in the pits. The majority of the drivers that raced at Atomic would probably not have raced at Mercer anyway. A noted surprise in the Mercer field, however, was Danny Holtgraver. 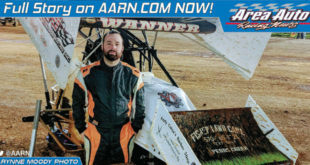 While his Pittsburgh, Pa. home is closer to Mercer than Atomic, he has been endorsing the new Renegade Series along with his car owner Rob Hunter. You don’t have a race series of any kind if you don’t have a place to race. A race track, however, without racers is worthless as well. Rival Sprint Car organizations are nothing new. The powerful World of Outlaws series was challenged not once, but twice by two different groups and they survived both renegade efforts thanks to the same type support that the All Stars are receiving from the track operators. Back in 1988, the USA Sprint Car series ran a handful of races and then a full season in 1989 against Ted Johnson’s WoOs. While the Outlaw king Steve Kinser broke camp and was crowned the USA champion, without events at the majority of the major race tracks USA failed. Kinser wasn’t the only top name to go with USA either, his arch rivals Sammy Swindell and Doug Wolfgang went with him. Bobby Davis won the 1989 WoO crown. 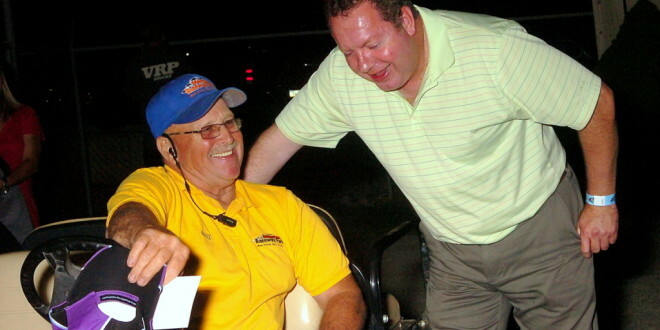 Fred Brownfield put together the National Sprint Tour in 2006 in an attempt to knock the WoO tour off its perch as the country’s leader. Brownfield, however, was killed early in the season when he was hit by a race car at his own race track. Once again Kinser and several of the top WoO stars left the tour, this time to run with NST, but it also lasted just one season. Sharon Speedway, the NAPA Auto Parts Wayne County Speedway and Waynesfield Raceway Park in Ohio; Lernerville Speedway, Lincoln Speedway and Mercer Raceway Park in Pennsylvania; Butler Motor Speedway in Michigan; Wilmot Raceway in Wisconsin; Huset Speedway in South Dakota; and Volusia Speedway in Florida. Lernerville and Volusia Speedway Park; Past history, thus, is on Webb’s side. Webb felt that Helms had made a major mistake in scheduling his first event on Saturday. The race was scheduled against his All Star race at Mercer, upsetting track promoter Frank Benic. “They told him they wouldn’t run against him and they did,” said Webb. “Frank will hate him from now until hell freezes over.” Saturday’s Renegade event also ran against two tracks in Ohio that had 410 Sprints scheduled; Attica Raceway Park, which is less than 130 miles from Atomic; and Wayne County Speedway in Oreville, about 50 miles away. “Here is a new guy on the block running against two of the established tracks that run these cars,” said Webb. Webb also said he knows that Helms made deals with teams not to attend recent All Star events. “I work for the track,” said Webb. 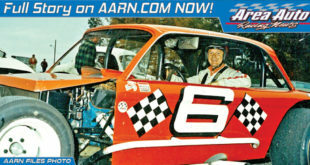 The All Star Series was formed in 1970 by Bud Miller as a midwest group. The series went national in 1973, but when gas prices hit record highs it was shut down for eight years. Bert Emerick got the midwest series going again in 1979 and had the All Stars heading back towards the series we now know it to be in 1981. Webb, a former Sprint Car owner took over the series in 2002. Don’t, however, look for the All Stars to return to the Atomic Speedway, promoted by Brad McCown, anytime soon. “The only place we’re not going to race at is K-C (now known as Atomic),” said Webb, “and that’s because he races against everybody. Attica, Williams Grove and Port Royal speedways were noticeably missing from the list of tracks giving support to the All Stars. Webb said Attica, which has a two-day event with his series this weekend, will be supporting him. He said events this season at Williams Grove and Port Royal were rained out and will be automatically renewed. So where did this tiff begin? According to Webb, the Renegade series was started because Helms and others were upset about the delay of the All Stars in paying last year’s point fund and their attempt to race on two occasions when, because of rain, they felt the race should have canceled. “They used that as a reason to tell people we were broke,” said Webb about paying the point fund. It appears as if four race teams did not get paid their entire 2013 point money owed to them prior to the start of the 2014 season in Florida in February. Driver/Owners owed were Dale Blaney/ Ti22, Tim Shaffer/ Janet Holbrook, Lance Dewease/ Michael Heffner and Danny Holtgraver. “We had three sponsors that were having financial problems and they needed to pay us in payments so we had to pay payments too,” said Webb. He said he talked to the teams before Florida and they all agreed to a payment schedule. 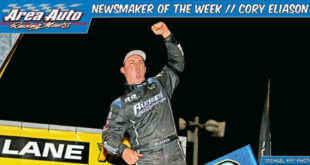 Heffner, whose 2014 driver Greg Hodnett currently leads the All Stars’ Eastern Point Standings which will reward the winner $20,000 again this year, went public this summer about his discontent in not getting paid. According to Webb, lawyers began exchanging paperwork and the payment process was delayed. Webb expected Heffner’s No. 27 and Hodnett to compete on Sunday at Mercer (he did not) and on Sept. 4th in Canandaigua, N.Y. (that event, rained-out earlier this year, has now been cancelled by promoter Jeremie Cocoran). Webb assured that everyone will get their money, except one. The series had two weather related issues that came under fire. At the start of the season at Bubba’s Raceway Park in Ocala, Fla., the race went on despite a very wet rough track. Several WoO teams that were running the event refused to compete, but Webb said the promoter wanted to race so they did. 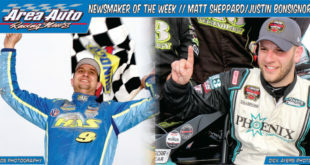 A similar issue happened during Ohio Speedweek on June 23. With a big crowd in the grandstands and 52 Sprint Cars in the pits, rain just wouldn’t allow the race to be completed despite a strong effort to do so. Helms was part of a group that thought it was not safe to try and continue and a confrontation developed. Webb said that Wayne County promoter Jason Flory was working hard to get the track back into shape and didn’t deserve the stand put forth by many of the drivers and car owners. In both cases, Webb felt he made the proper decision. Webb said he won’t ban any driver from competing with his All Star series. Everyone is welcome to compete. Webb explained that the All Stars, like the World of Outlaws, offer traveling teams a compensation package they get when they pull through the gates. To be part of the deal, the team must commit to running all events to get tow money and free pit passes at each race. Webb said he’ll pay $20,000 to his East and Ohio champion this year and $10,000 to his West Champion. He’s considering returning to just one National point fund next year that will pay $50,000 to one team. 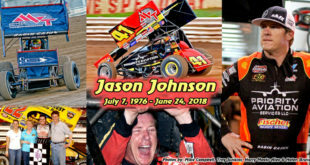 He said he expects his schedule to be much the same in 2015 with the possible addition of a Sunday night event at Big Diamond Raceway in Minersville, Pa. The Renegades now have one event in the books with a strong field of entries to show promoters in their bid for 2015 dates. 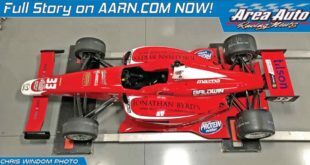 They can show promoters a list of drivers such as Chad Kemenah, Bryan Sebbeto, Greg Wilson, Andrew Palker, Taylor Ferns, Dean Jacobs, Travis Philo, Caleb Helms, Danny Holtgraver and Cole Duncan as committed to show up at their events. They have the financial backing of Helms and his successful construction business. Webb has the commitment for dates from the race track operators that have formed his past schedules. To Webb, it will be business as usual. “We want to be predictable and reliable,” said Webb. He also offered advice for Helms and the new Renegade group. NOTES: Christopher Luck, accused of running a $60 million Ponzi scheme, pleaded guilty in federal court on July 24 to three counts involving securities fraud, mail fraud and conspiracy to commit mail and wire fraud. Luck, a former partner in Sprint Car operations driven by Jason Meyers and Stevie Smith Jr., will hear his sentencing on November 24 in San Jose, Calif., according to an article in the Santa Cruz Sentinel. Luck faces up to 60 years in prison and a $5.5 million fine. He had been scheduled to go on trial in August. The Motorsports Expo will be returning to the Center of Progress Building at the New York State Fairgrounds in Syracuse, N.Y. in 2015. The event will again be a two day show, Saturday and Sunday, March 14 and 15 with exhibitor set-up that Friday.